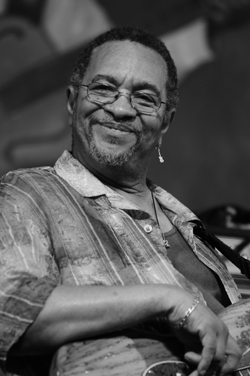 Home > Collaborators & Friends > Musicians > George Porter Jr.
George Porter, Jr. was born in New Orleansn Louisiana, on December 26, 1947. He formed the band The Meters in the 1960s and was recognized as "one of the progenitors of funk" according to Wikipedia. Quite a legend in himself. He recorded with many great artists such as Paul McCartney, Willy DeVille, Robert Palmer, David Byrne or Harry Conick, Jr. He played bass on Tori’s albums from Under the Pink (1994) to From the Choirgirl Hotel (1998). You’ll find a more complete profile about George Porter, Jr, his career and collaboration with Tori in the following weeks.